Re-charge your batteries and re-kindle your Spirit on this seven day retreat of yoga and sunshine. We will be based on the beautiful island of Tinos, Greece, staying at Tinos Ecolodge – a self-sustaining eco-friendly resort surrounded by breath-taking views and within a short hop to the local beaches. During your stay you will be guided through daily sessions of hatha yoga, meditation and deep relaxation using practices to help us discover and refine our connection with the elements. We also have time to explore the island and its riches as well as time for reflection and contemplation. 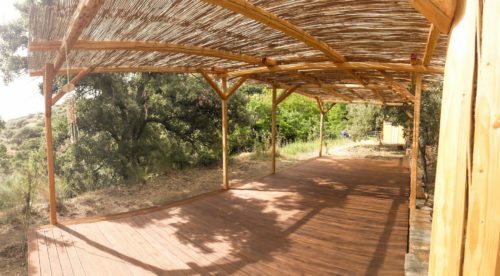 Each day we will be experiencing guided meditations and two sessions of hatha yoga on our newly purpose built yoga deck (all sessions to be conducted in English). We will also be guided through periods of deep relaxation (yoga nidra) and we will be lead through practices in which we can unite with the power of the elements. There will also be time for exploring, walking, swimming, reflection and contemplation. You also have the option to join us on an organised trip during the retreat. Download the detailed timetable of the course daily schedule. Rama, teacher and guide: Namaste! 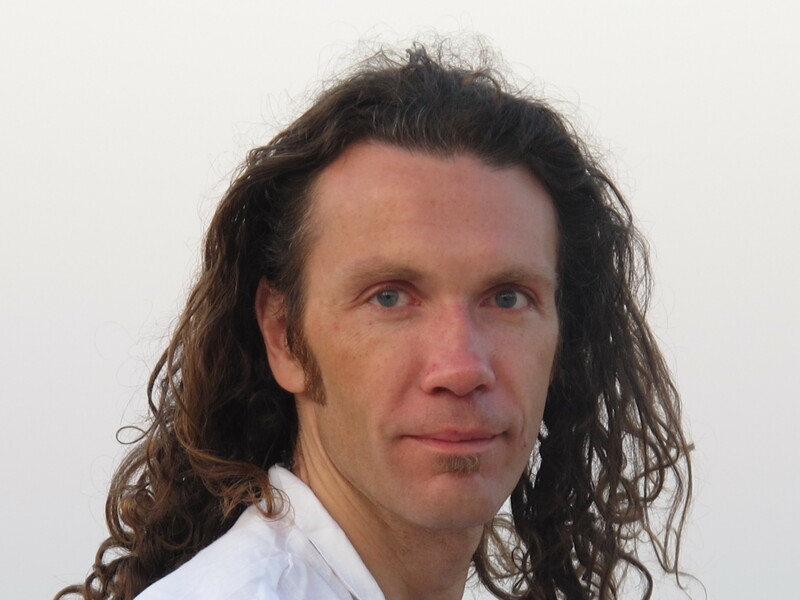 I began my yogic journey some 25 years ago and have been teaching for over 10 years. I have travelled throughout India, having lived and studied in ashrams and yogic centres gaining first-hand experience of yoga’s simple and yet profound practices and teachings. On returning to the UK I became a regular visitor of Mandala Yoga Ashram, Wales. I soon became a resident and completed a years training in the techniques of meditation, and progressed onto a 2 year yoga teacher training course and 1 year study of Kriya Yoga. 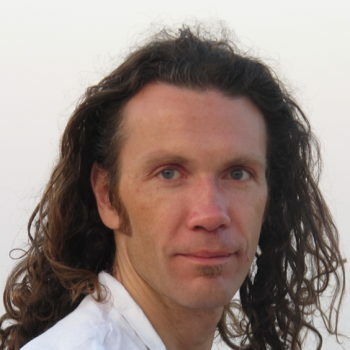 I lived in the ashram for over 3 years as a resident teacher and head gardener, managing and overseeing the development of the gardens, deepening my connection with nature, while helping to support and lead residential courses in various aspects of yoga including hatha yoga, kirtan (devotional singing) and Sanskrit chanting. From 2012-2016 I lived in the south of France, continuing to teach regular classes as well as seminars and workshops. I returned to the UK in 2016 and base myself in Lincolnshire where I continue to regularly teach group as well as private yoga classes helping practitioners to discover their inner potential as they discover the many physical as well as mental benefits that Yoga is able to offer. 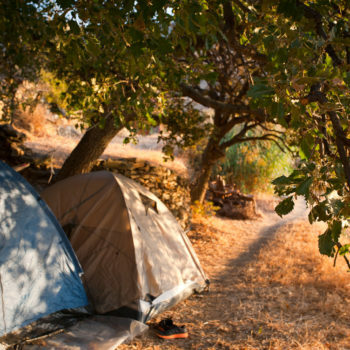 Accommodation: You have the choice of a room or camping. The limited number of rooms have en-suite facilities and there is newly built toilets/washing facilities for the campers. 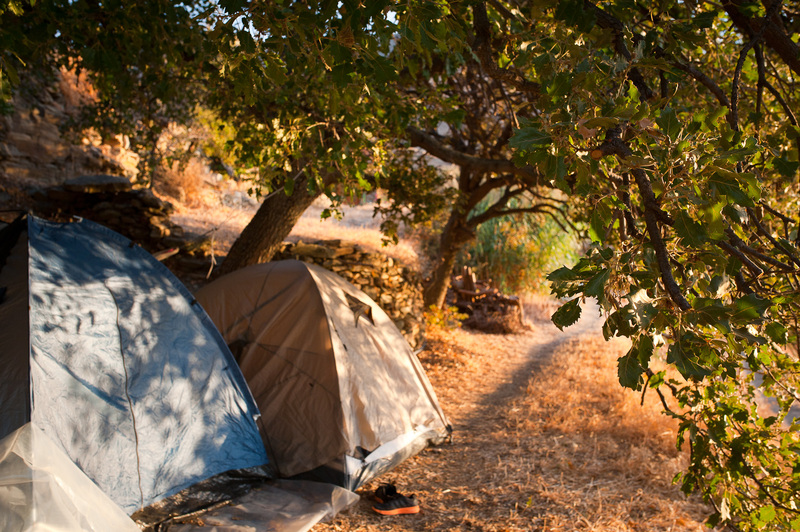 There are plenty of oak trees to camp under, (please bring your own tent). We are surrounded by green hills and the tranquil blue waters of the Mediterranean – a perfect calm and unspoilt haven to relax and renew. Food is of great importance to us on our yoga retreats. Ecolodge is a place where the focus is on self-sustainability and working in harmony with nature. Many vegetables and herbs are grown here on-site. We will be providing 3 wholesome vegetarian meals each day prepared by our local cook Ageliki. This retreat is open to all levels of ability. We are a small group (max 14) thus giving us the opportunity to care for and accommodate you in the best way we can. Special price for Greek participants please contact us. There will be an option of drop-in price of 25 euro/day for our Tinian friends. This price includes only the yoga classes, meals are extra. A deposit (€200 room / €100 camping) is required to secure your place on the retreat, check the registration form for paying details. Once the deposit is paid there will be a 7 day ‘cooling off’ period after which the deposit is non-refundable (unless the retreat is cancelled due to unforeseen circumstances). Check out the website for photos and further info of where you will be staying and travelling details on how to get there.